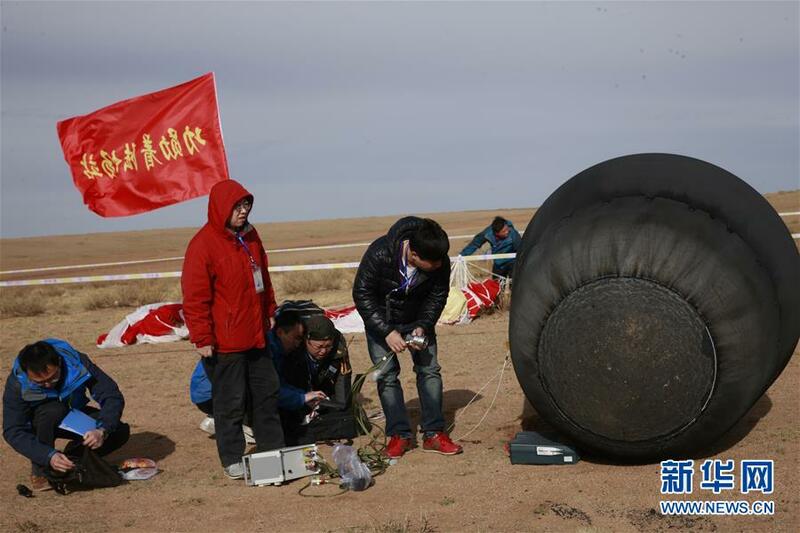 China’s Shijian-10 research spacecraft made a successful return on Monday, bringing back experiments after a two-week stay in space for extensive analysis on the ground covering various fields of scientific research. Landing occurred Monday morning in Inner Mongolia and the return capsule was retrieved shortly after landing to quickly gain access to the experiments on board. Shijian-10, the second recoverable satellite in the Shijian series of experimental satellites, was launched on Tuesday, April 5 atop a Long March 2D rocket lifting off from the Jiuquan Satellite Launch Center and sending the 3,600-Kilogram craft into orbit less than ten minutes after launch. The SJ-10 satellite entered an orbit of 234 by 268 Kilometers, inclined 43 degrees and executed three orbit-adjustment maneuvers over the course of its mission to set up the proper ground track for its landing. Orbital maneuvers are not common for microgravity science missions since they disturb the pristine microgravity environment needed for many of the experiments ongoing aboard the spacecraft, requiring coordination of experiments around the placement of orbital maneuvers. 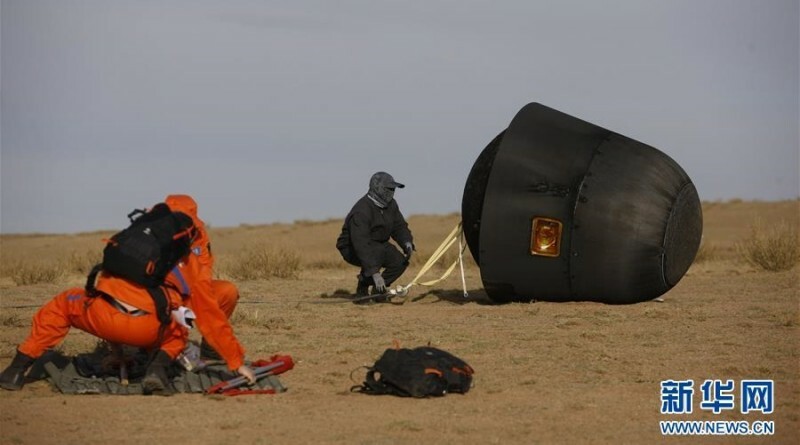 Over the course of the SJ-10 flight, no details on the progress of the mission were released until navigational warnings for the landing of the spacecraft were published on Friday. 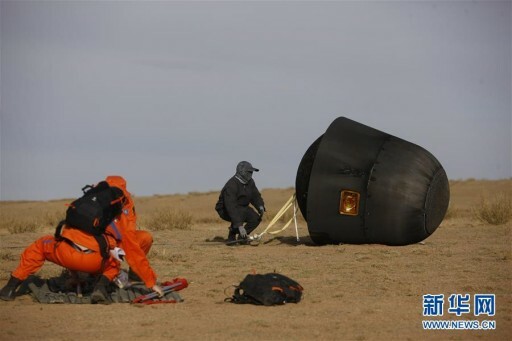 A landing rehearsal was held in the recovery zone over the weekend with teams practicing the fast recovery and transport of the spacecraft from the landing site. 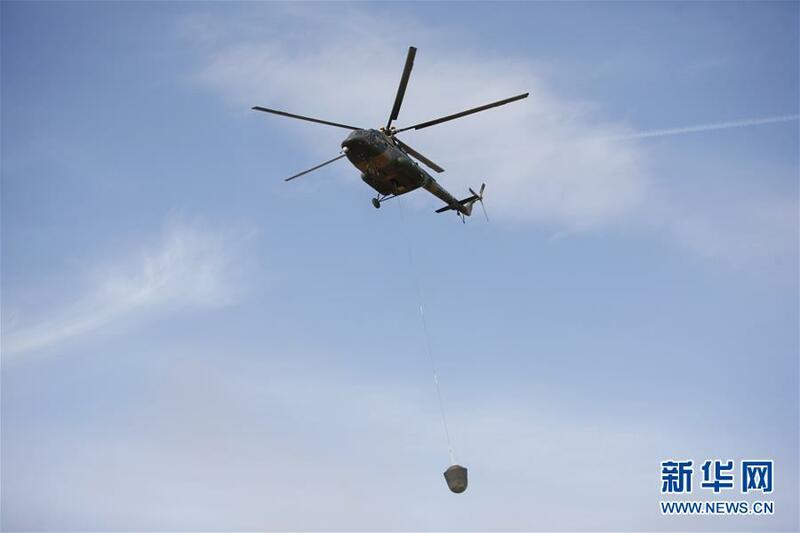 SJ-10 used the same landing area of China’s crewed Shenzhou spacecraft as well as the Chang’e 5 Lunar Test Mission. 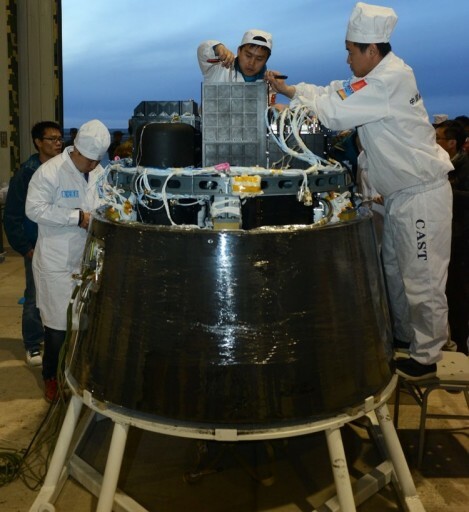 On Monday at 8:15 UTC, the Shijian-10 Return Vehicle separated from the Orbital Module that will continue to operate on battery power for at least another 3 days for the completion of fluid science experiments that do not need to be returned and collect all science data for downlink to the ground. 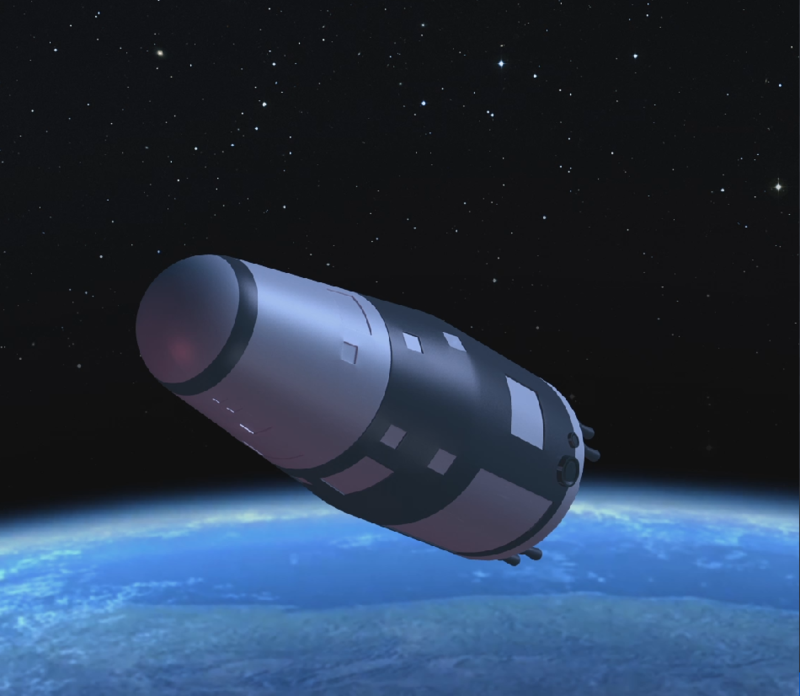 The deorbit maneuver occurred shortly after module separation and sent the Return Vehicle on its course towards the landing site in Siziwang Banner. Tracking of the spacecraft was confirmed at 8:19 and parachute deployment occurred at 8:23 UTC. Touchdown was confirmed around 8:30 UTC and recovery forces began looking for the vehicle and trace down its location using beacon signals. At the landing site, the Return Vehicle was safed and hooked up to a helicopter that transported it to a nearby processing facility where the vehicle was opened up and returned payloads were retrieved in an expedited manner. Collection of data began immediately after the experiments were retrieved and biological samples were placed in controlled environments for the transfer to laboratories at the experiments’ respective institutions. Coming to a successful conclusion, the Shijian-10 mission will keep scientists busy for months to come as data and samples collected during the two-week mission will be analyzed and results published. 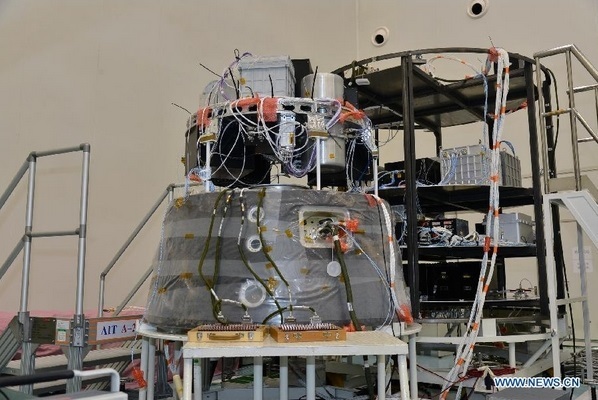 The Orbital Module will continue operations as long as battery power permits, eventually headed for a swift re-entry given its short-lived orbit under 300 Kilometers in altitude. The Shijian-10 mission hosted a total of 20 different experiments covering fluid physics. microgravity combustion, materials science, radiation, biology, and biotechnology. 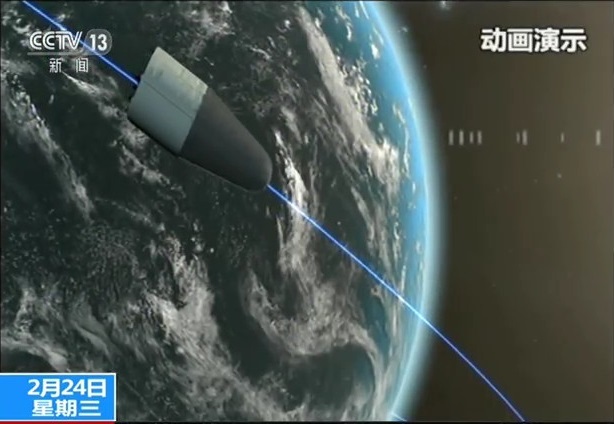 The experiments riding aboard the satellite have been provided by six Chinese universities and in collaborations with the Japan Aerospace Exploration Agency and the European Space Agency. 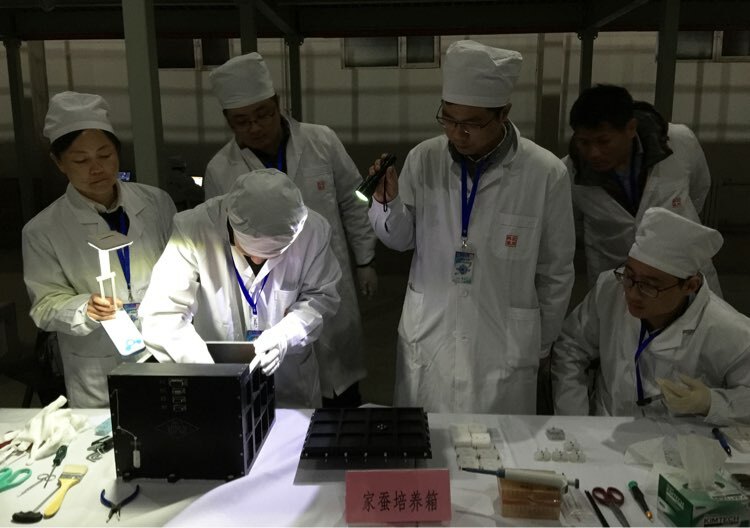 Science aboard Shijian-10 looked at the fundamental processes in evaporation processes in microgravity, fluid dynamics in convection processes, heat transfer in boiling, and the assembly of colloidal structures in space. Combustion science, recently highlighted by the first large-scale combustion experiment launched aboard Orbital ATK’s Cygnus spacecraft was also covered by Shijian-10 with three separate experiments studying how wire insulation could ignite and burn in a spacecraft, examining the characteristics of coal fires in an ideal buoyant environment, and looking at the combustion and oxygen consumption of thick solid fuels. A highlighted study aboard SJ-10 included eight different materials science experiments that aim to produce very pristine metal materials with very little defects, using the microgravity environment to achieve material properties not possible in ground-based experiments. This will allow scientists to study the microstructure of the materials to develop improvements for terrestrial manufacturing techniques and come up with new applications for novel metal alloys. The ESA study aboard the spacecraft flew six high-pressure cylinders containing crude oil to space to study a process ongoing in Earth’s oil reservoirs in which pressure and temperature varying with depth cause petroleum compounds to separate, leading to layering within large oil reservoirs. The experiment tested different types of oil within pressurized cylinders at 400 atmospheres with one end of the cylinder being heated while the other was cooled to induce the separation of petroleum compounds that will be trapped before the mission ends to allow scientists to look at the diffusion patterns. Shijian-10 also carried mouse embryos to study whether mammalian reproductive systems work in space and whether the early embryonal development stages are possible in the microgravity environment. Only a few studies of this type have been performed to date given their potential controversial nature.